Book the Headphone Dance Party which includes a FREE LED dance floor! Dance until you drop! 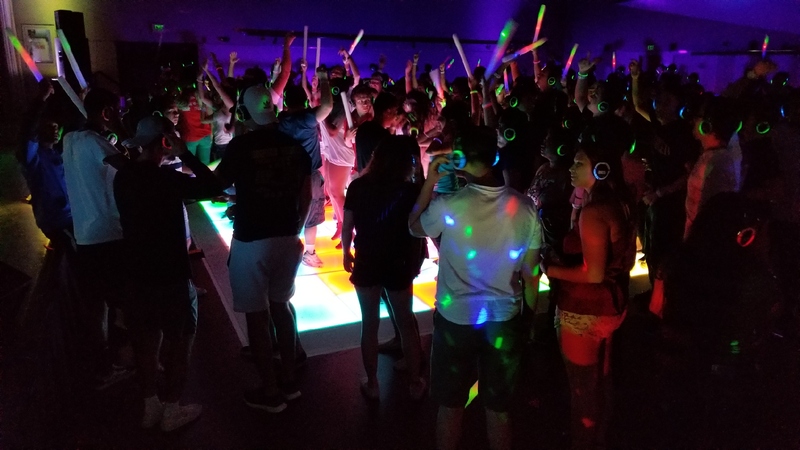 Book the Headphone Dance Party which includes a FREE LED dance floor! Includes 1-3 DJ’s and up to 500 headphones. Dance until you drop!